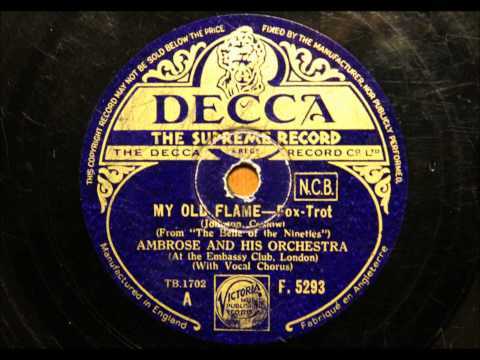 “My Old Flame.” Composed by Arthur Johnston (who also wrote “Pennies from Heaven”), with lyrics by Sam Coslow. Elsie Carlisle with Ambrose and His Orchestra (Embassy Club, London, November 1, 1934). Decca F 5293.